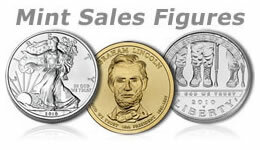 The US Mint reported their January sales numbers and they have come in both unprecendented and incredible. At this pace the January number is going to finish with earth shattering results, and the Mint may have to close the door on sales before we reach February. When the paper silver market re-aligns with what is taking place in the physical market (the paper market realizes there is not physical demand to back the paper promises) you can expect fireworks in the precious metals market.